When IRS levied me out of business, lawyers would not take my case because IRS had levied all my money. So, I began to act Pro Se. Here are 9 steps to representing yourself. 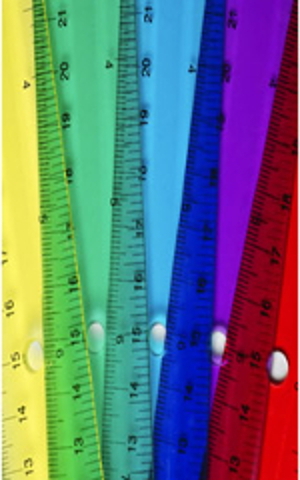 The ruler image, instead of Lady Justice, emphasizes the integral role of rules. There are state rules for district, municipal, magistrate, and state appeals court in one rule book, while “Local” rules for each court are often in another. There are bankruptcy rules, maritime rules, all sorts of rules for all sorts of courts. Federal rules govern federal courts, but are also the basic rules upon which the state court rules have been based. 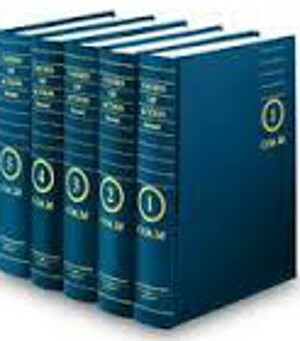 You can find the basic rules on the Internet: Federal Rules of Civil Procedure ~ Read the Rules. In the beginning read just the first one or two rules. They deal with how an action is commenced (begun). Don’t worry if at first you don’t understand them — read them again. As you go on you will learn things that make the rules clear. Read them again, and notice how much more you understand. Notice that rules for courts are divided into Criminal and Civil. In criminal justice a defendant has a right to a lawyer. If you can’t afford to pay for a lawyer, one will be appointed by the court… not necessarily a good one. In the civil justice system, as either a Plaintiff or Defendant, you can hire a lawyer, or not. The court has no duty to appoint a lawyer for you. In my experience there was a point at which the case I had was so serious I paid lawyers $7,500. It was a total waste of money. That said, let’s look at how to begin representing yourself, if you choose to go that route. How do you begin? To go to court pro se you must Complain, or respond to a Complaint. If you complain, you are the Plaintiff. If you are responding to a Complaint, you are the Defendant. The form of the complaint differs from court to court, so if you want to complain ask your law librarian for an example. Copy the example, putting in your name as the plaintiff, and the offending person’s name as the defendant. Center the word “Complaint” and beneath that state your cause of action, or in other words, tell your story as simply and directly as possible. Not every unpleasant experience allows you to go to court for a remedy. To establish your “cause of action” you may benefit from using the COA books in your nearest law library. COA (Causes of Action) – This is a GREAT set of reference books because it discusses the most basic thing: Something must be actionable in order for you to sue. That is, there must be a legal wrong. For instance, you can’t sue because of death. If a loved one dies of old age, you don’t have a cause of action. But if a loved one is hit by a car, or hit by a car driven by a drunk driver, then you have a cause of action, or two. Additionally, COA gives you the necessary elements for each cause of action, put into the appropriate words. You can use these if they match your case. 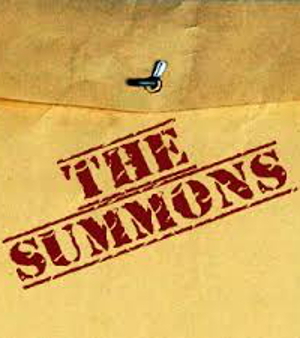 The summons is the formal notice that you are being called to court. When you are taking someone to court you have to serve your Complaint and a Summons on the person, business or other entity against whom you are taking action in court. Equally, if someone is taking you to court, they are required by the Fifth and Fourteenth Amendments to serve you. Serving the Summons and Complaint is called Service of Process. You may have noticed that people who work serving court papers are listed in the Yellow Pages under “Process Servers”. Due Process, which is a right guaranteed to you by the Fifth and Fourteenth Amendments, depends from the get-go upon service of the summons and complaint. Basically, the idea is that you must be notified of the court case so that you can defend yourself or your property. The summons, then, is the true beginning of a court case. “An elementary and fundamental requirement of due process in any proceeding which is to be accorded finality is notice reasonably calculated, under all the circumstances, to apprise interested parties of the pendency of the action and afford them an opportunity to present their objections.” Mullane v. Central Hanover Bank & Trust Co., 339 U.S. 306, 314 (1950). Due Process ~ Read more. You need to supply the summons in most courts, but not all. If you need to supply the summons, ask a law librarian for an example to copy. you can generally contact law libraries via the internet. Often checks, other than cashier’s checks, are not accepted. 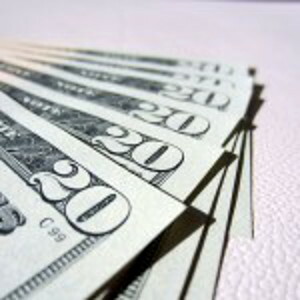 If you don’t have much money, you can request and most likely get a reduced filing fee, or even have the fee waived. If you don’t have money to pay the sheriffs for service, then ask among your friends for someone to make the deliveries for you. You may not deliver them yourself. Once the summonses have been served you need to file “Proof of Service” forms filled in by the person who performed service. You, as a party, are not allowed to perform service. With that, you’re on your way. The great thing about the rules is that they are provided in the order in which you will need to use them. And many have helpful annotations: cases you can quote or use as starting points in your research. Sometimes if you use an internet source for the rules, the annotations won’t be shown. So if you can, set time aside to go to a law library. Many courts have un-annotated copies of their rules to give to pro se litigants; and many have special, easier directions for pro se litigants. Reading the rules can be a little confusing at first; but once you begin following them they become pretty clear. If a Complaint has been served upon you, it will state how long you have to file your answer. You must answer within that time. If something serious interferes with answering, you can write a motion asking the Court for an extension of time. I have had that work, and also not work, so your best bet is to file your Answer in the proper time frame. Your Answer can be very brief:”Admit” or “Deny” can be your sole answer to a numbered paragraph. You must address each numbered paragraph. Additionally, it’s good to include affirmative defenses and a Counterclaim. If you are the Defendant in a foreclosure of an adjustable rate mortgage, it is very likely that there were errors in calculating how much you owe. Also, there may be problems or inaccuracies with your mortgage escrow account. By including these kinds of things in your Answer you are giving yourself a groundwork to fight the foreclosure. Defenses and Objections: When and How Presented ~ Read more. 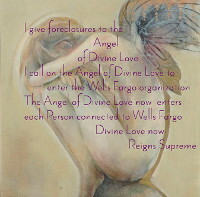 My Answer and Counterclaim to Wells Fargo ~ Read example . If you are fighting a foreclosure Discovery can be a great tool. Interrogatories ~ the questions you would like answered. In my experience the answering lawyer gives his or her name and address, then gives a reason not to give any actual information in any subsequent answer. At law libraries there are books showing how to write interrogatories. I can’t remember if they also suggest the non-answers. 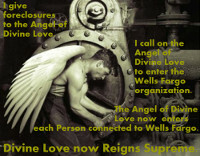 My Interrogatories to Wells Fargo ~ Read more. Requests for Production ~ If you are going to need evidence at trial, and some of it is available only from the opposing party, this is your chance to request that it be produced. In the case of a foreclosure, it’s essential to ask the Plaintiff to produce the original note and mortgage, or make them available for you to inspect. If the Plaintiff cannot produce the original, then they don’t have the necessary evidence to foreclose. In some states the courts will make production of the original note and mortgage a prerequisite for a Motion for Summary Judgment. 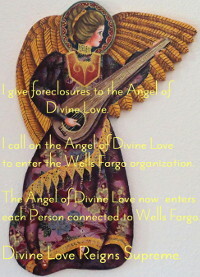 My Requests for Production to Wells Fargo ~ Read more. Requests for Admissions ~ These are particularly useful in that if the opposing party neglects to respond in the allotted time you can ask the Court to deem the Admissions Admitted. 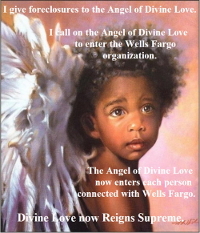 My Requests for Admissions to Wells Fargo ~ Read more. 1. If you file a case and a lawyer responds for the Defendant, the response may sometimes be a Motion to Dismiss for Failure to State a Claim, or Motion to Dismiss for Failure to State a Claim upon which Relief Can Be Granted, rather than an “Answer.” If you found the wording for your complaint in the Causes of Action books, then you have your “elements” laid out and you can build on that in your reply. You must reply in the time frame provided for the court in which you are appearing. 2. If the Plaintiff, in a foreclosure, or the Defendant in another kind of action, fails to respond to your Discovery Requests, you can file a Motion to Compel. The Court will set a hearing date for the motion after the opposing party has answered. I won one Motion to Compel in Bankruptcy Court and not others. If the court you are in favors attorneys or the attorney who is representing the opposing party in your case, then you may not be able to win. It is, however, essential to proceed as if you are going to win. 3. In a foreclosure the Plaintiff’s attorneys will usually file a Motion for Summary Judgment early in the case. You must respond that within the time allotted in your court. This type of motion relies on the facts being undisputed. If you have reason to believe that some of the “facts” stated in the Complaint are incorrect, then by disputing them you lay your groundwork for having the motion denied. When you file a motion or a response to a motion you must include case law supporting your position. Some courts, for instance Clark County, Nevada, have prepared materials to help pro se parties, for example: Instructions for Preparing, Filing and Serving an Opposition to Motion for Summary Judgment ~ Read more. You may find when you begin to represent yourself that one of the most difficult things. if you’re basically unfamiliar with the law, is finding cases that support your position. It’s often hard to find the legal words for your problem and that makes finding supporting cases difficult. Learning the correct term is a challenge, not knowing it can be costly. For instance, I used to tell the whole long story of how I had been wronged, and the opposing attorney would move to strike on the basis of my pleading not being directly to the point (which the attorney said in legalese) and I’d be out of luck. But not entirely out of luck. I made a huge effort to follow the rules about the time allowed to do things, so I wasn’t disqualified from answering – that’s really important; and because once I learned something I used it, I was eventually able to file an action for violation of the automatic stay (by this time I was in bankruptcy) against the lawyer who had earlier had my pleading struck. The lawyer settled. Her insurance paid me about $20,000, not a lot by any means, but certainly more than if I had ignored how she’d damaged me. My creditors got the money (which was excellent). You can look for lawyers in the Yellow Pages who offer Free Consultations and call them with basic questions. Online, you can use Avvo to ask questions of lawyers in the state where your action is located. Avvo is helpful in that you often get answers from different perspectives. Additionally, Avvo lists lawyers who will give a free consultation and it has a review system of the lawyers who participate. Avvo ~ Check it out. I used PrePaid Legal Services for several years, but in the end became disillusioned. Their lawyers boasted big discounts if you hired them, but their start out hourly fee was vastly higher than most other lawyers. When I found a very helpful lawyer within PrePaid, I was not allowed to talk to her for future reference. I got the distinct impression that PrePaid did not like Pro Se parties. Once you have the technical, legalize phrases that fit your case, you can use them to find cases to read and possibly use when you write your motion asking the Court to decide in your favor, or to deny the opposing party’s motions. As you read cases you will find references to other cases, so that soon you have a lot of reading to do. When you find a case online you can often copy it to your computer and highlight the pertinent portions. If you go to a law library you may want to copy the cases, in which case you will need a tall stack of quarters. Am.Jur. (American Jurisprudence) (green bindings) is a treatise series that discusses in clear language the legal aspects of almost everything. Words and Phrases series, illustrates the proper context for words. Federal Practice Digest (My Most Favorite) (navy blue bindings) – What I like about these is that they go through the Code giving cases for each bit. What’s so great is that it shows the same thing being said under varied but similar circumstances, then the same thing from a slightly different aspect, and so on, so that you can understand and see how the Code works. In the beginning I couldn’t really believe that there were things as totally helpful as the Automatic Stay, so I would copy pages and pages of cases verifying my position, and then read them again and again. When I was pretty much convinced the book meant it, I would copy dozens into my pleading, thinking that if they convinced me, then they would convince the judge. United States Supreme Court Cases ~ Cases are decided similarly from case to case, based on circumstances and the law, however, it may interest you to know that a state’s supreme court’s decisions are not binding on U.S. district courts. Equally, different U.S. district courts may have different decisions from one court to the next, based upon different views of the law. Usually the courts within a Circuit have a unified view based on the case law coming down from the Circuit Court of Appeals. When someone appeals from a U.S. district court, believing there should have been a different outcome due to the availability of a different theory, the case goes to a U.S. Court of Appeals in the relevant Circuit. My state, New Mexico, is in the 10th Circuit. California is in the 9th. You may remember hearing the 9th Circuit mentioned on the news fairly frequently as they are quite active in taking new views on questions of law. When there is a difference of opinion among the Circuits, the question is taken to the U.S. Supreme Court by way of a Petition for Writ of Certiorari. The U.S. Supreme Court may or may not take the case. If you look through cases, you will see that many note, “Certiorari denied.” That means the Court didn’t take the case. Once there is significant disagreement among the circuits, the Court usually does take the case in the interest of uniformity. The Essential Ingredient -I had thought that truth and a natural delivery were The Essential Ingredients, but now I am beginning to think that reform of the judicial may be absolutely necessary. Now, say you are wondering how I learned enough to file bankruptcy, and not just any bankruptcy, a Chapter 11. The short answer is: I bought a bankruptcy kit from an office supply store. It cost me about $20 in 1997. The kit explained each of the kinds of bankruptcy. I could see that Chapter 11 gave me the most control and that because I had property (which I wanted to protect) I had a good chance of being able to create a Plan whereby I could become financially stable again. Plus, in Chapter 11 you are given quite a long time to get your Plan together. If you aren’t in a major time crunch, as I was since my condo was being sold on the court house steps in four days from the date of my kit purchase (because a kit has everything to hand), you don’t need to buy anything because many rule books contain sample pleadings: By filling in the blanks on one of these forms, you can produce an acceptable, customized pleading. It’s best to copy type or scan the forms into your computer. But I have simply xeroxed them and filled them in by hand. As you can imagine, the scanned forms filled in by hand look pretty horrid, so I’m not recommending that unless it is an emergency. In 2005, I downloaded the Chapter 11 files from the Bankruptcy Court’s web site. I had to cut and paste, literally, to fill in the blanks because the documents were pdf and didn’t allow any kind of manipulation, like answering questions. Though my completed forms looked a bit wonky, it worked, which is what is important.